Join us for the Forty-Fifth Annual Donald C. Brace Memorial Lecture given by Pamela Samuelson on Monday, November 2, 2015 at Fordham University Lincoln Center. Students free with valid photo ID. Use promo code BRSTUDENT when registering. 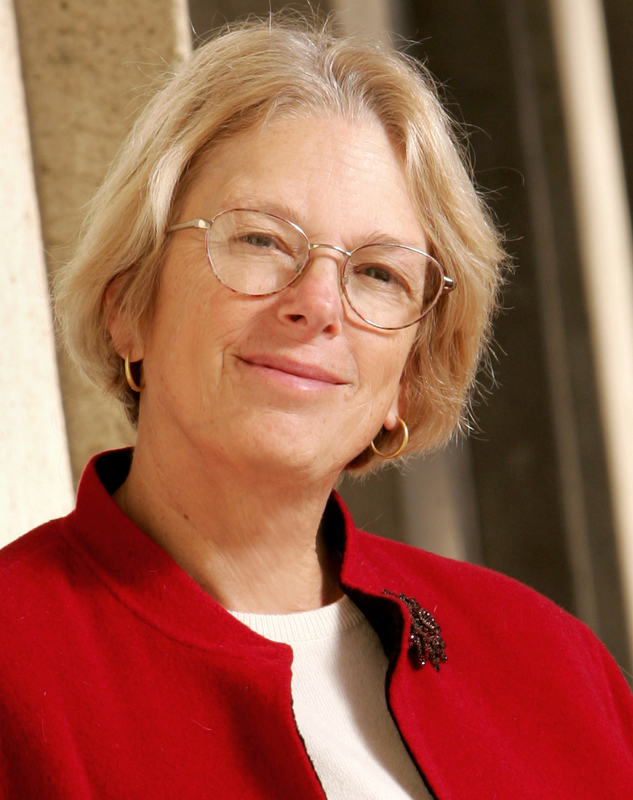 Pamela Samuelson is recognized as a pioneer in copyright law in the digital world, intellectual property, cyberlaw, and information policy. She is the Richard M. Sherman Distinguished Professor of Law and Information at the University of California at Berkeley, where she has joint appointments with its law school, Boalt Hall, and its School of Information. She is also a director of the internationally renowned Berkeley Center for Law & Technology and serves on the board of directors of the Electronic Frontier Foundation and on the advisory boards for the Electronic Privacy Information Center, Public Knowledge, the Center for Democracy & Technology, and the Berkeley Center for New Media. Professor Samuelson lectures widely and appears on panels relating to copyright issues, including the New York City Bar’s 2014 program on Copyright Fair Use: The Importance of Being Transformative—Has Transformative Use Gone Too Far?, and her extensive writing includes articles on the Google Book Search (see, e.g., Google Book Search and the Future of Books in Cyberspace, 94 Minnesota Law Review 1308 (2010)) and other issues relating to copyright (see, e.g., Unbundling Fair Uses, 77 Fordham L. Rev. 2537 (2000); Towards More Sensible Anti-circumvention Regulations, in Financial Cryptography: 4th international conference, FC 2000 (Yair Frankel, ed., Springer 2001); The Law and Economics of Reverse Engineering, 111 Yale L.J. 1575 (2002); Questioning Copyright in Standards, 48 B.C. L. Rev. 193 (2007); Preliminary Thoughts on Copyright Reform, 207 Utah L. Rev. 551 (2007); and The Copyright Principles Project: Directions for Reform, 25 Berkeley Tech. L. J. 1175 (2010) (principal author with members of the Copyright Principles Project); Solving the Orphan Works Problem for the United States, 34 Colum. J. L. & Arts 2013 (2013) (co-author)). She is also a co-author with Peter S. Menell, Mark A. Lemley, and Robert P. Merges of Software and Internet Law (Aspen Publishers, 2003; 4th edit. 2011). From 1997 through 2002, Professor Samuelson was a fellow of the John D. & Catherine T. MacArthur Foundation. The Anita Borg Institute for Women in Technology honored Prof. Samuelson in 2005 with its Women of Vision Award for Social Impact, and the public interest organization Public Knowledge awarded her its IP3 Award in 2010 for her contributions to Internet law and policy. In 2013, she was inducted into the American Academy of Arts and Sciences. Prof. Samuelson is also an active philanthropist, providing foundational gifts since the late 1990s, for five law clinics at major American and Canadian universities. Professor Samuelson graduated with a B.A. (1971) and M.A. (1972) from the University of Hawaii; she received her J.D. from Yale University (1976). After practicing with Willkie Farr & Gallagher, she moved to academia, first at the University of Pittsburgh from 1981-1986. The Brace Lecture is given in memory of the publisher Donald C. Brace, who founded Harcourt, Brace & Co. in 1919. Apart from his interest in the art of literature, he was deeply interested in copyright legislation, the protection of creative talent, and freedom of the press. In 1950, he was awarded the Columbia University Medal of Excellence in recognition of his distinguished contributions to publishing. This series was originally established by a gift from his daughter, Mrs. Donna Brace Ogilvie. For more than four decades, the Brace Lectures on domestic copyright have featured some of the leading figures in the field, including judges, practitioners, policymakers, publishers, academics and more. For a list of past Brace Lecturers, please click here.